We are once again offering our popular small group classes! Our hands on Beginning Hard Cider Workshop will teach you all the basics of hard cider making. Join us for a few hours as we press apples into fresh juice, talk about different types of apples and learn fermenting techniques. Everyone will leave with at least 5 gallons of cider and take home instructions. Perfect for beginners! We are also happy to reserve classes for your group. *All class dates are subject to change based on enrollment. 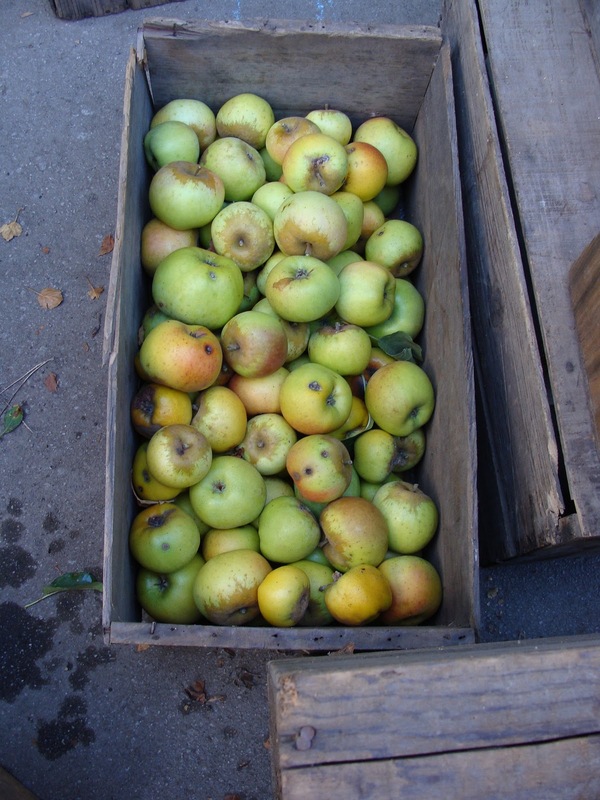 Attend a class on or before December 1 in order for your cider to be ready by the holidays! Location: Casalegno Family Farm Stand 3700 Old San Jose Road in Soquel. Time: 10:30 classes are usually about 3 hours, depending on class size. 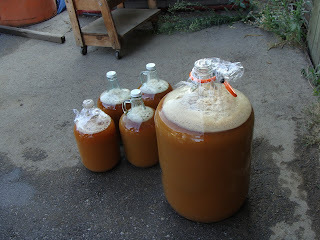 Price: $80 total - $40 for the class plus a minimum 5-gallon cider purchase ($40) to use for your hard cider. We require a $20 deposit (good toward your class fee) to reserve your spot. Additional cider can usually be purchased. Ask about our reduced price for couples. Equipment needed: Bring a 5-gallon glass carboy or food grade plastic bucket with rubber seal and airlock. Visit Seven Bridges Cooperative on River Street for all your equipment! Space is limited so please contact us to reserve your spot today! 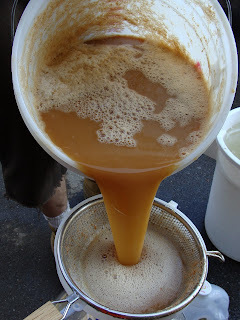 If you are already experienced in cider making and are looking for a source for fresh juice or would just like to spend an afternoon on the farm this is a great opportunity to get the apple juice you need for your own uses. 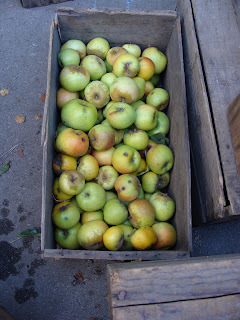 We also sell cider apples! Contact us for prices or to set up a date! You all will be receiving several pounds of winter squash in your box each week for the remainder of the session. These squash were all just harvested, and would benefit from a period of “curing”. This simply means that they should be kept at room temp (around 70°) for 7-10 days before using. If you have not cooked much with winter squash because you are unsure of what to do with them, never fear! Here is some info about each type and some ideas of what to do with them. Generally to Prepare them for any recipe they should be cut in half lengthwise, and the seeds and pulp should be scraped out with a spoon. perfectly “If Butternut Squash was even more awesome it would be a Delicata”. My favorite way to eat: Start by cutting off the ends and peeling the squash. Then Prepare squash and slice into 1” pieces (they will be kind of crescent shaped). Put into a baking dish and using your hands coat pretty heavily with olive oil. Sprinkle generously with salt and pepper and roast at 425° for about 20 minutes, or until tender and golden brown on bottoms. Sprinkle with more salt if needed and enjoy! Better than sweet potato fries! Buttercup Squash – Part of the Turban Squash family this dark green flattish squash has a sweet nutty flavor. Prepare squash, (do not peel) place cut side up in a baking dish. Make a mixture of ½ cup chopped tart apple, 2 tsp packed brown sugar, 2 tsp butter, softened, ½ teaspoon lemon juice and 1/8 tsp ground nutmeg. Fill squash halves with mixture, cover and bake at 400° for 40 min or until squash is tender. Acorn Squash – A particularly nice one for stuffing. Here is a delicious recipe to try! Prepare 2 acorn squash. Place cut side down, in a large baking pan. Bake at 350° for about 45 minutes or until just tender. In a large skillet, cook ¾ lb bulk sausage, ½ c chopped celery, and ½ c chopped onion until meat is browned and vegetables are tender. Drain well. Combine 1 beaten egg, 1/3 c parmesan cheese, 3 TB brown sugar, and 1 small chopped apple; stir into sausage mixture. Turn squash halves over so the cut side is up. Mound sausage mixture into squash shells. Cover and bake for 20 to 25 minutes more or until sausage mixture is heated through. Pumpkins – Of course are great for pies, muffins and breads as well as soup and other recipes. Prepare and bake as the others, until tender, scoop out flesh, puree to make smooth and use for your thanksgiving pies! I will share my favorite homemade pumpkin pie recipe soon. If you still don’t feel ready to use your squash, or want to save them for when the cooler weather comes they will store nicely if kept in a cool, dry, dark place. Be sure to clean and dry them first and store them no lower than 50°. Eat Delicata within 6 weeks. Butternut will store for 2-3 months. Buttercup should be good for 3 months and Pumpkins even longer.